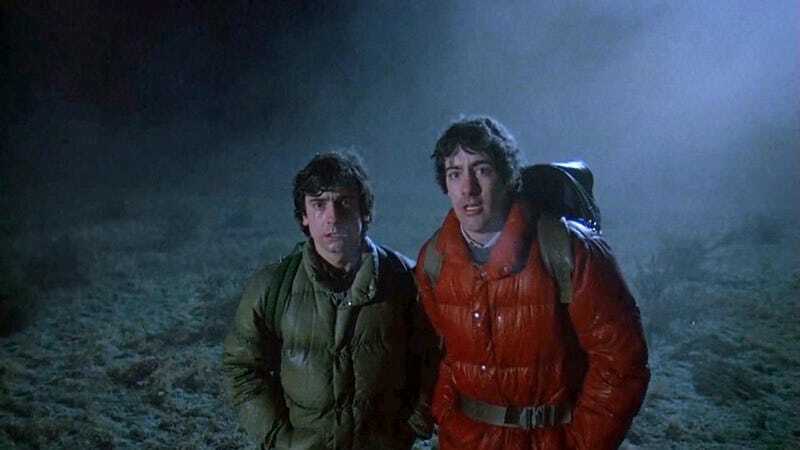 After “categorically denying” that he was working on a remake of An American Werewolf in London back in August, it looks like Max Landis (son of the original film’s writer-director, John Landis) has revised his position. Deadline just reported that the film is officially a go, and the younger Landis will write it. Also involved, and upping the horror quotient exponentially: The Walking Dead creator Robert Kirkman and his co-executive producer on the show, David Alpert, who will produce through their production company for Universal. John Landis will also be among the remake’s executive producers. No word yet on who’ll step up to the plate for the werewolf-transformation special effects, so impressive on the 1981 film that they won the now-legendary Rick Baker his first Oscar.